Wishing all of you a very Happy Diwali! 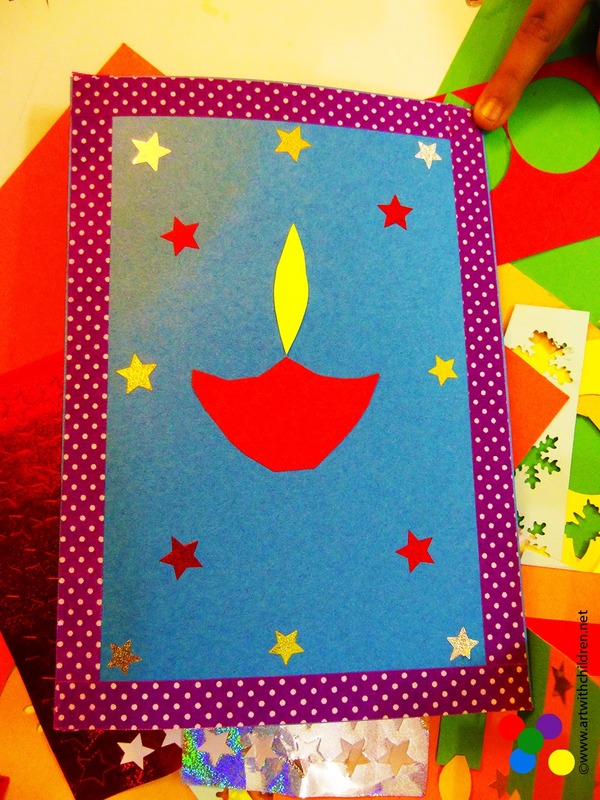 We made many cards for Diwali this time and here is one our favourite pop-up card. This is easy and fun to make. We enjoyed making these and hope you would like try as well. 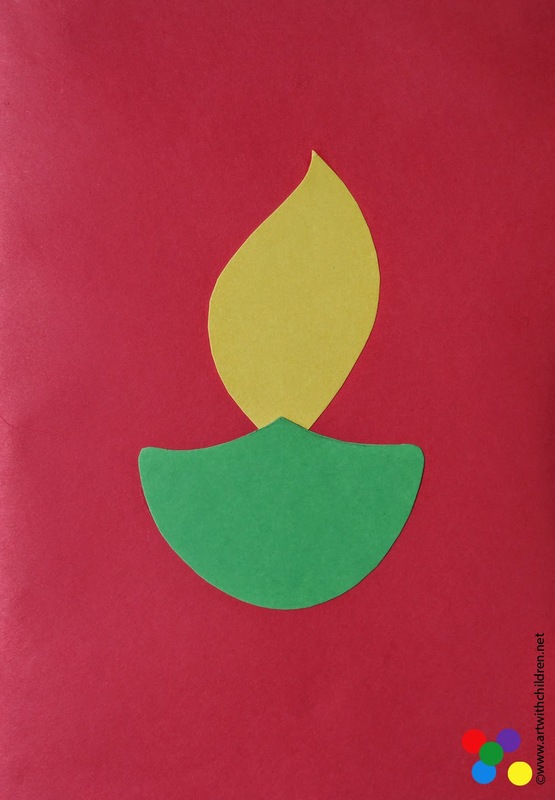 You may also like to view our Diwali paper lanterns. 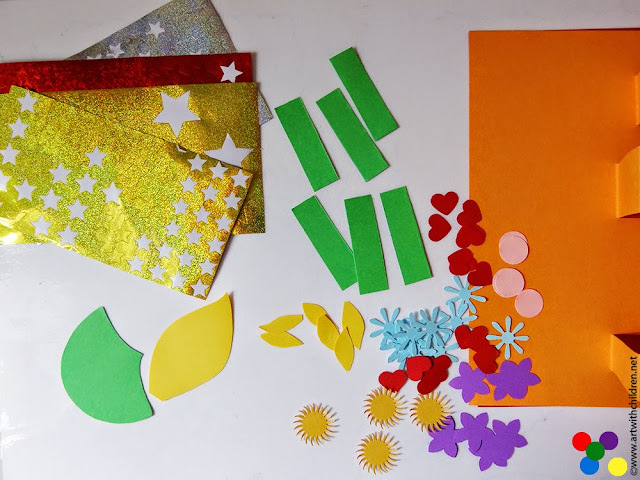 We will need two card stock papers or pastel sheets, colourful cut outs, festive themed stickers, cut outs of diyas and flames, cut out for candles and flames and some PVA glue. We chose red and orange pastel sheets as shown. We cut three blocks on the orange card. Two blocks with an approx. width of one inch and one block at the bottom of one cm approx. 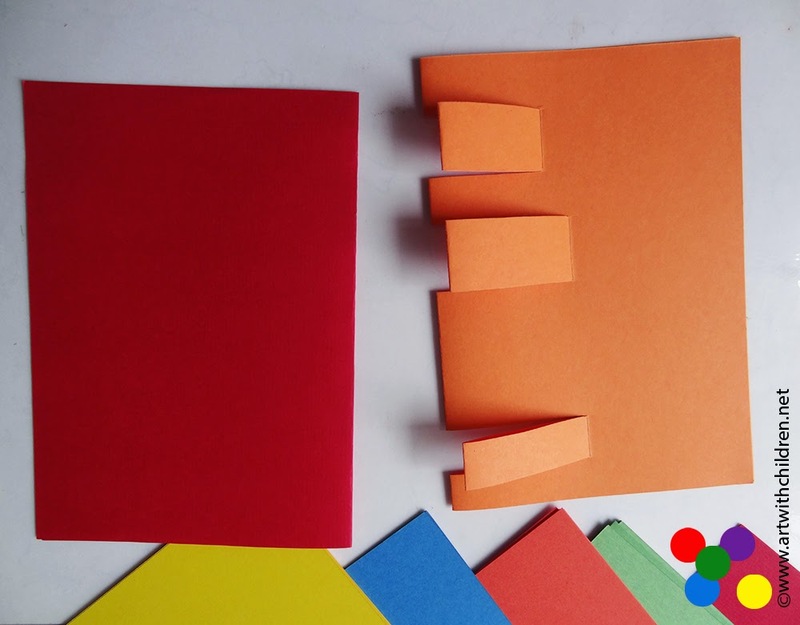 Avoid making very deep cuts as the folds tend to protrude out of the card. 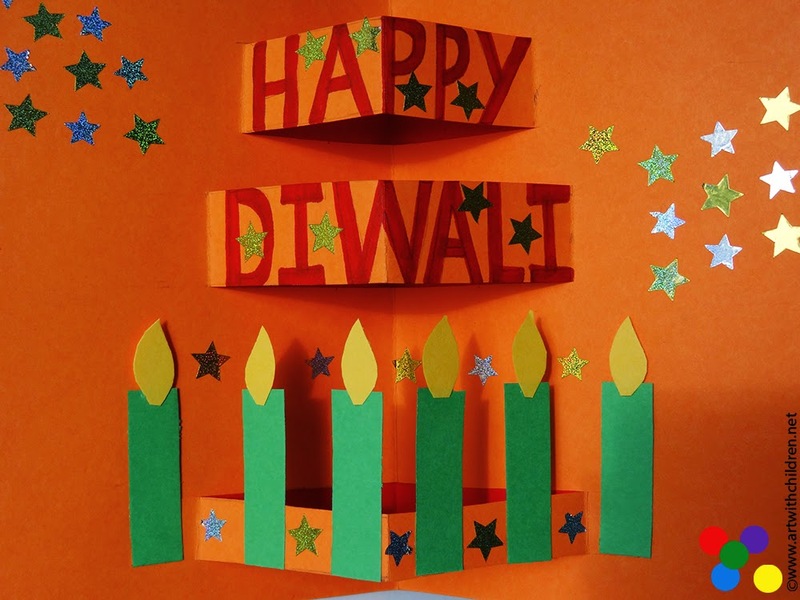 The first two blocks are for the text ' Happy Diwali'. The last one is for the candles. 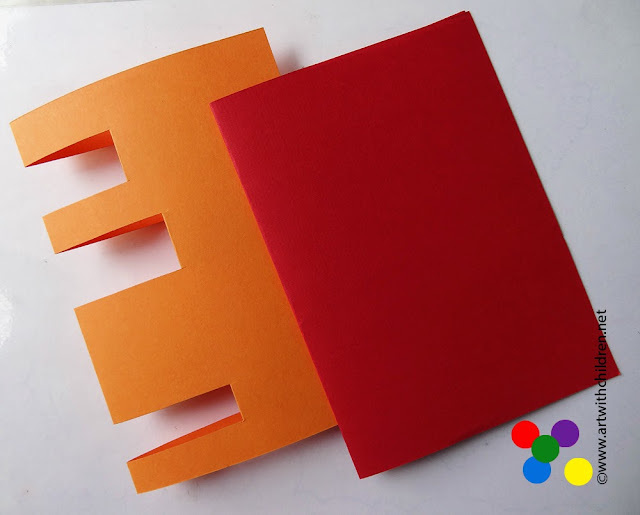 Push the cut blocks inwards before pasting inside the second card. The orange one goes into the red card. 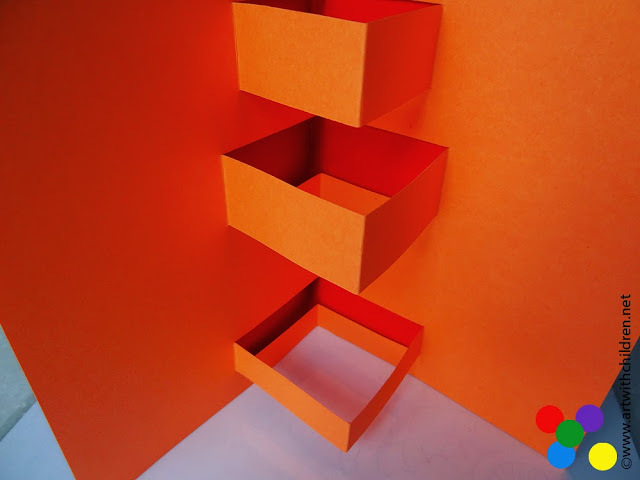 Take care not to stick the folded blocks. It should look like this when the card is open. We used markers to trace the letters written with a pencil. Stick the candles as shown.The candles were ready before sticking them finally. 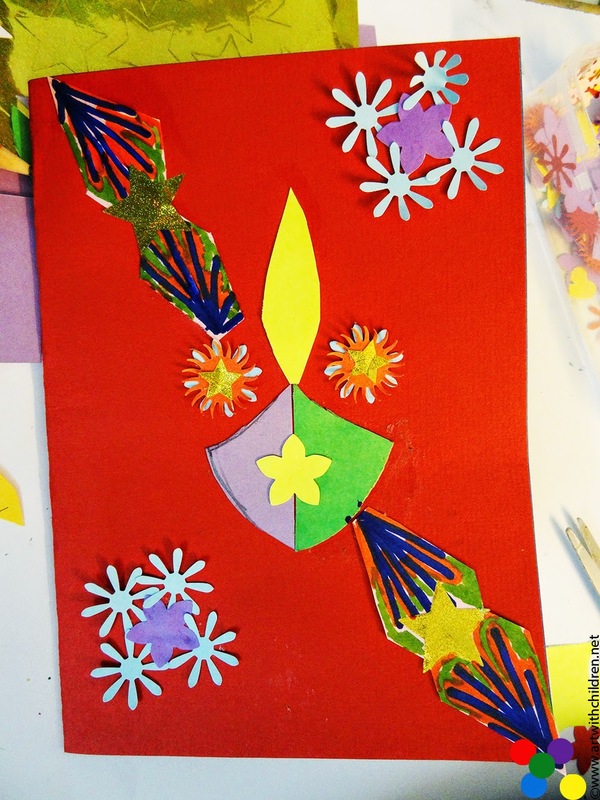 Stick the diya with flame onto the cover and the embellishments. 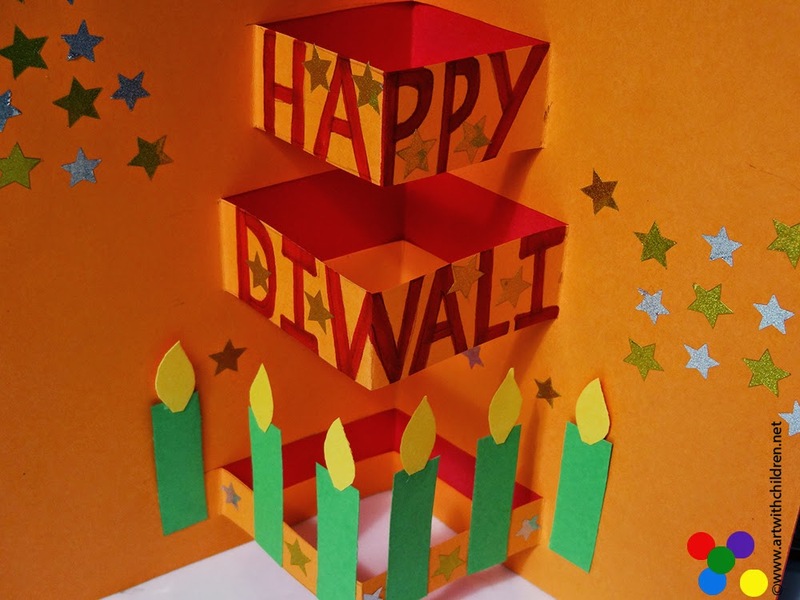 Thank you for viewing our creations and wishing you a very Happy Diwali!